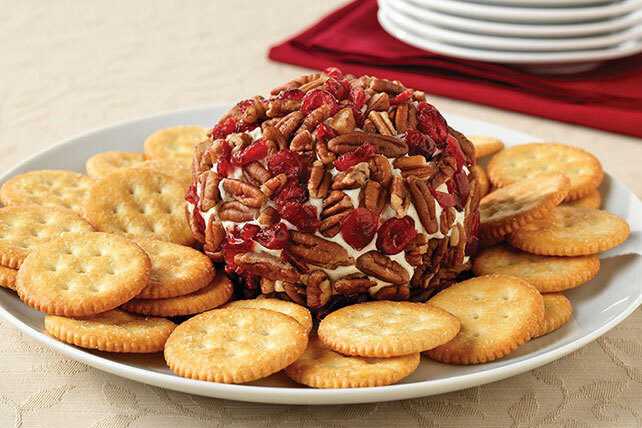 Take a trip down memory lane: This Classic ROKA Cheese Ball, studded with dried cranberries and chopped pecans, tastes as good as you remember. Mix first 3 ingredients until well blended. Refrigerate 2 hours. Shape into ball; coat with remaining ingredients. Substitute PLANTERS Walnuts for the pecans.